It’s Man Crush Monday! Today is all about the guys…from masculine rooms to home accessories, the world of home design is increasingly embracing the “dude” style. Short on space? Who says your bike can’t also be a piece of art? 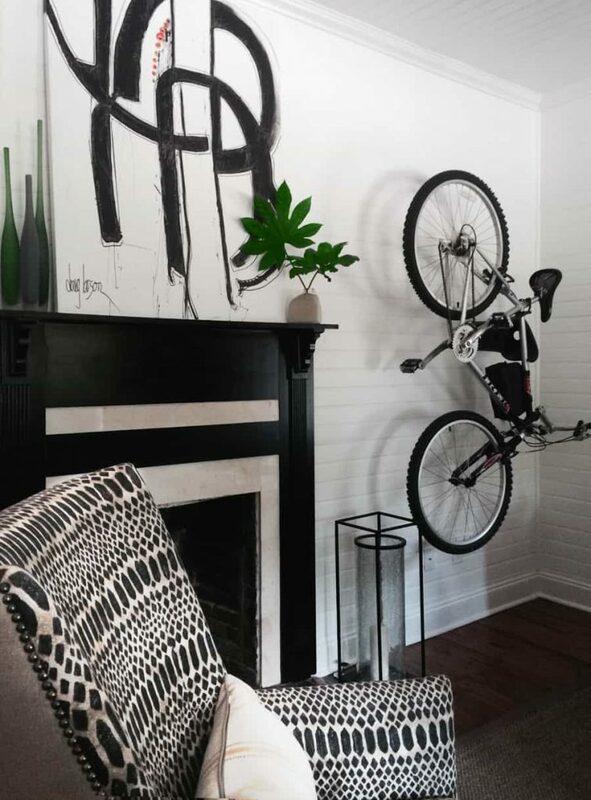 Designer Michele Merritt came up with this creativly cool solution for a client in Aiken, SC. The perfect bachelor pad requires an elegant bar set up, like this one designer John Ishmael created for a client in Atlanta. 4. Man purse? Think again! These bags from Graf & Lantz are a sleek way to safely carry his laptop. 6. Want to cool down that night cap, without watering it down? These whiskey stones, made out of natural soap stone, are the perfect solution!